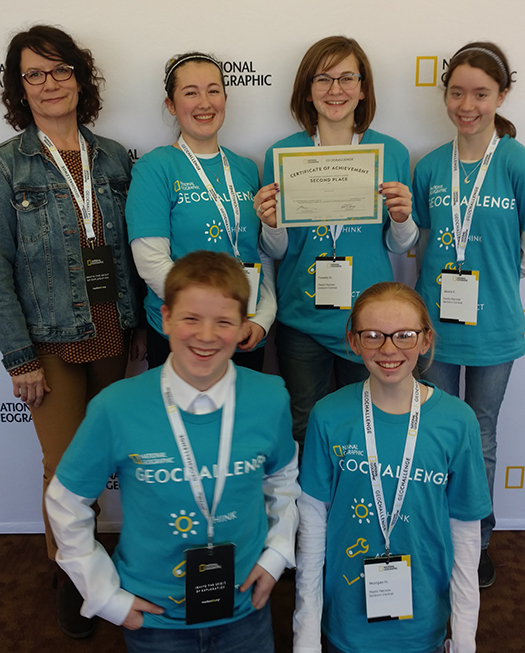 PICTURED are, back row, left to right: Sanborn Central science teacher Marci Farmer, Sidney Salas, Casady Dean, Jessie Krueger; front row: Alex Schelske and Morgan Hoffman. The Sanborn Central team attended the regional NatGeo Challenge competition in St. Paul, Minn., on Friday, March 29. The event allowed the students to visit with other passionate students and see the creations that middle school students can imagine. The students interacted with the other participants and expressed their excitement about the experience. They presented their idea for the judges to evaluate the team’s solution and how the team worked together. Each team member had a job to do, and a part to deliver during the presentation. …Read more details about the competition in this week’s issue of the Sanborn Weekly Journal! A new law went into effect in South Dakota with the 2017-2018 school year. As of that year, all high school students are required to take part in CPR training in order to graduate from high school. According to the American Heart Association, South Dakota is the 36th state, and Washington, D.C., to put this requirement into place. The South Dakota Emergency Medical Services Association says that South Dakota students will learn and practice Hands-Only CPR, which involves pumping the middle of the chest to circulate blood to vital organs such as the brain and heart. Students will also be familiarized with automated external defibrillators, or AEDs, which are portable battery-operated devices available in many public places that can deliver a shock to a cardiac arrest victim’s heart. …Read on and see a picture in this week’s issue of the Sanborn Weekly Journal! On March 4, Central Electric and East River Electric visited the fourth graders at Sanborn Central. They provided some great information on how electricity is transferred, resources that make electricity, and how much energy it would take for a fourth grader to power items in their homes.